It's not like one needs an excuse to order margaritas any day of the week here in the Southland, but Los Angeles happens to boast the largest Cinco de Mayo street fair in the world – and this year (like every year) the place to be is downtown. First and foremost, Fiesta Broadway will be the epicenter of the party downtown, comprising a mile-long stretch of food vendors, music and games. The LA Plaza Museum will also host activities at 501 N. Main including live music, food, and of course, cerveza and tequila. 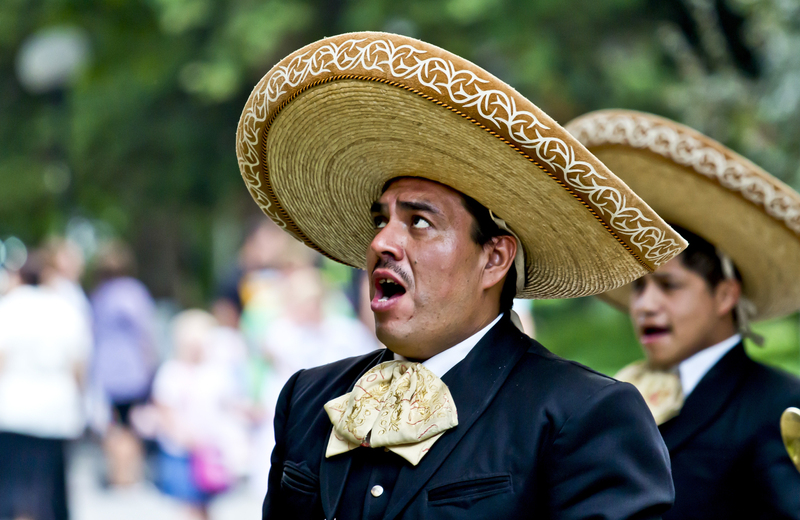 And don’t forget to head over to Historic Olvera Street, the cornerstone of old Los Angeles were mariachis will be out in force, there'll be piñatas-a-plenty, and you may even catch some finely choreographed baile folklorico, harking back to the village dances of old. For something a little more risqué, the two-night run of the traveling circus that is the Lucha VaVoom Psychedelic Cinco will be showing at the Mayan Theatre on 1038 S. Hill. Basically, you can't squeeze a lime without hitting a margarita this Tuesday. There is so much to choose from that you really can’t go wrong. But on a side note, if large crowds just aren’t your thing, you shouldn’t have any problem finding a vacant Irish pub (pro tip: this works in reverse on St. Patrick’s Day). So celebrate Mexico’s independence DTLA-style and have some fun in the sun. Salud!